China’s top leadership has released a bold long-range blueprint for the country’s Internet and technology strategy. At its core, the Strategy affirms the preeminent role of IT in China’s future development, stating unequivocally “without IT development, there will be no modernization.” The document underscores that reaching the next stage of the country’s economic development is dependent on the country’s adoption of new IT processes. For the next ten years, the Strategy focuses on targets that will be reached by two key dates, 2020 and 2025. By 2020, China seeks to strengthen its domestic industry in a number of “core technologies”—including integrated circuits and large-scale software services—to be ranked among the world’s best. China plans to provide access to broadband internet to an additional 350 million people and extend 3G and 4G services throughout the country. At the same time, China’s planners call for breakthroughs in 5G technology through expanded research and development efforts. By 2025, China seeks to build a leading mobile communication network that will rival the most advanced industrial countries. China will achieve an enviable position as “technologically advanced, industrially prominent, adroit in application, and impenetrable in cybersecurity.” The country’s leading MNCs will expand into overseas markets with the latest innovations and tech capabilities. Throughout, China anticipates tremendous growth in IT-related products and services. The Strategy expects IT consumption of products and services and e-commerce to double to RMB 6 trillion ($903 billion) and RMB 38 trillion ($5.7 trillion), respectively, by 2020—and expects similar doubling again by 2025. While many aspects of the Strategy have been included in previous Chinese planning initiatives (e.g. the “Internet Plus” initiative and “Made in China 2025” plan), the new Strategy is even more bold in the targets it has identified, and it has emphasized the importance of the effort in more nationalistic terms. The drafters have included rhetoric that explicitly links China’s drive to foster a globally competitive domestic IT sector to the broader mission to ensure China’s future security and prosperity. The tone mirrors a speech by President Xi Jinping in April of this year, in which he argued that in the current information age, domestic innovation, cybersecurity controls, new R&D priorities, and Chinese ownership of so-called “core technologies” are crucial to China’s future. Some of these themes have been echoed by leading officials at the Cyberspace Administration of China (CAC) and the Ministry of Industry and Information Technology (MIIT) in recent months, as Beijing sees its technology push as critical to reclaiming the country’s historical dominance in sciences and to achieving the “Chinese Dream” of sustained economic growth. Beijing previously sought to adopt “core technologies” through joint ventures and partnerships with leading foreign tech companies, as well as to spur “indigenous innovation” by Chinese enterprises to reduce reliance on foreign suppliers. 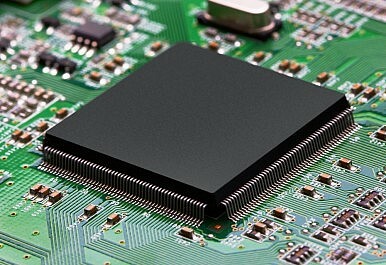 As many leading Chinese companies have moved closer to the technology frontier, the Chinese government has intensified its focus on encouraging a shift to domestic “core technologies.” In 2014, for instance, Chinese authorities set up a $21.3 billion National Integrated Circuit Investment Fund to boost the country’s IC (integrated circuit) sector. This new Strategy indicates that the Chinese government intends to continue to pursue these types of initiatives. The Strategy also promises additional efforts to strengthen China’s research and development ecosystem by improving coordination of research activities of universities and research institutes, and integrating these efforts with enterprise-based innovation activities. The Strategy specifically identifies a number of priority areas including mobile internet technologies, cloud computing, big data, and the Internet of Things (IoTs). Since the release of this Strategy in late July, China has also released a 13th Five Year Plan for Research and Development that aims to increase spending on R&D to 2.5 percent of GDP by 2020 to further stimulate innovation. In 2015, China spent 2.1 percent of GDP (approximately $210 billion) on R&D. In line with China’s ongoing focus on strengthening its domestic legal and regulatory framework for cybersecurity, the Strategy notes the importance of new and forthcoming Internet legislation—including the controversial PRC Cyber Security Law (CSL)—to advance the country’s interests. The CSL, currently still undergoing legislative review, has drawn sharp criticism overseas as its data localization and cybersecurity review requirements could impede foreign firms’ competitiveness in China. While the Strategy focuses on various domestic targets for building domestic capacity, it also showcases Beijing’s keen interest in shaping emerging international norms on cybersecurity, as well as in amplifying its voice within international Internet governance and technology standards development organizations, such as ICANN, ISO, and others. The Strategy underscores that China understands it cannot accomplish its goals without greater influence in these arenas and that it must develop many of these next-generation technologies, and the standards that will direct them, in tandem with other countries and in collaboration with leading multinational platforms. Frank Zhao is an independent researcher and a recent graduate of Hampshire College, MA. Jesse Heatley is a Director at Albright Stonebridge Group. The law, which comes into effect June 1, raises data protection concerns for foreign firms. China’s Quest for Cybersecurity Causes Headache for Foreign CompaniesChina’s Cybersecurity HeadacheChina-US Relations in Cyberspace: A Half-Year AssessmentChina’s Internet Policy Offers the Wrong Kind of LessonsWhat Does 2016 Hold for China-US Relations in Cyberspace?